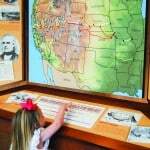 Guided tours of the Doss Heritage and Culture Center exhibits are available for small and large groups, schools and private organizations. Each tour is tailored to best suit the audience. Tours include a detailed exploration of life in Parker County and Texas. Tours will begin with the Comanche Indians who once roamed the Texas plains and continue with the lives of the early settlers in and around Parker County. Another highlight is a look at famous Texans and pop culture icons Mary Martin and Larry Hagman. The DHCC has rotating exhibits that change throughout the year. Topics of these exhibits vary. See the Exhibitions tab for information on our current and upcoming exhibits. Tour reservations should be made no later than two weeks before your requested tour date. Due to events and gallery maintenance, tours are subject to availability. A confirmation page will be sent to you by email with the details of your tour after the booking has been secured. *Guided Tours are $3.00 per person, if your group wishes to view the Museum on a Self-Guided Tour this is FREE of Charge as we do not charge admission. The overarching goal of the education department is to create a mutually beneficial relationship which will enable both the schools and the DHCC to educate students about the rich history and culture of Parker County and Texas. 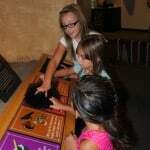 The use of interactive methods and hands-on learning is the best way to achieve this goal and connect with students from all levels. Our education department offers many different options for your school to choose from based on your needs. 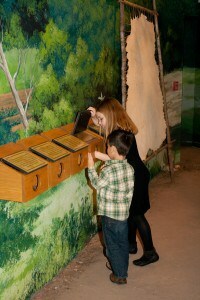 Interactive guided tours give you and your students a chance to explore our museum and all it has to offer. Students will explore a Comanche Teepee, White Bison Skeleton, the building of a log cabin as well as Mary Martin’s costumes, piano and her son Larry Hagman’s memorabilia. Hello, I would like to bring my kids to visit for a homeschooling field trip on an upcoming Tuesday. It would just be 4 of us. A sixth grader, 7th grader, me and a baby. Please let me know what Tuesday would work best. Any Tuesday would be fine. If you would like a guided tour please contact our events coordinator at events@dosscenter.org. She can also tailor the tour to meet any subjects you are studying.